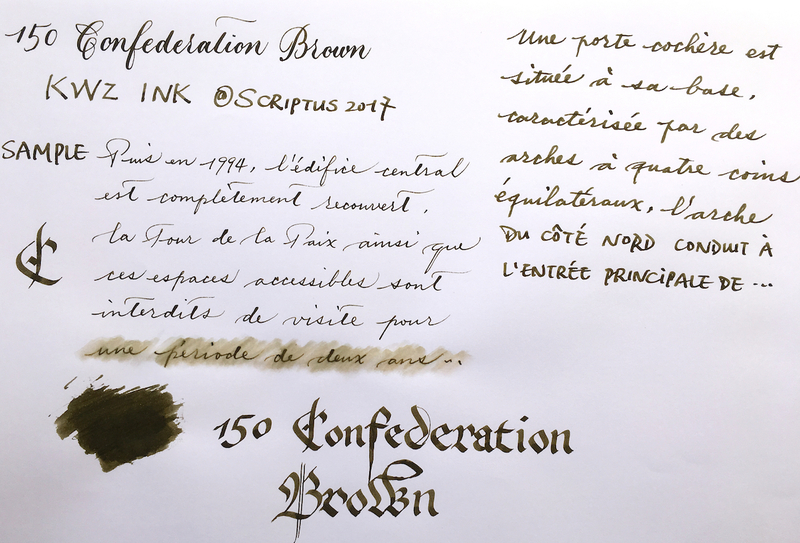 I'm lucky to have been given some of this 150 Confederation Brown to (p)review. I'm going to skip the history and background of this ink and for that purpose I refer you to the review of Claudia, the person behind this colour, and also the reviews of Visvamitra and Tas. 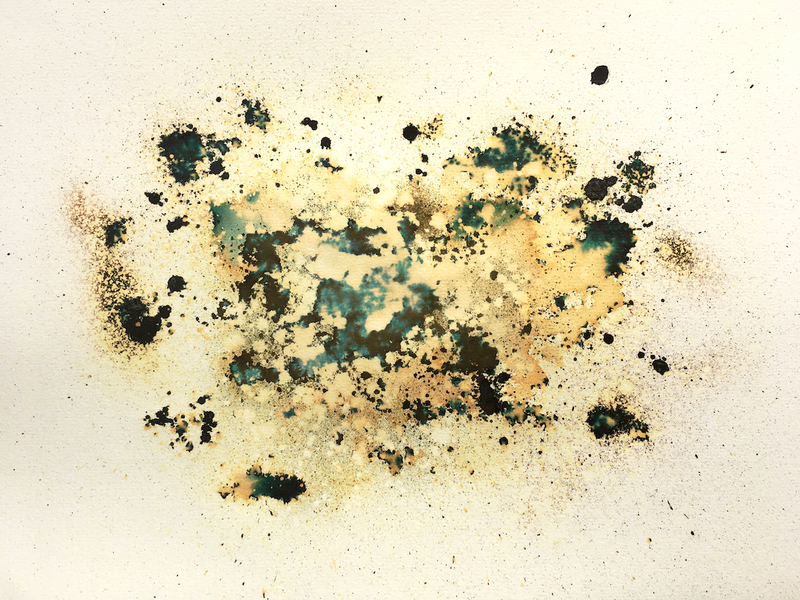 As the others have pointed out, this is a complex colour, ranging from murky green to brown, depending on paper and lighting. 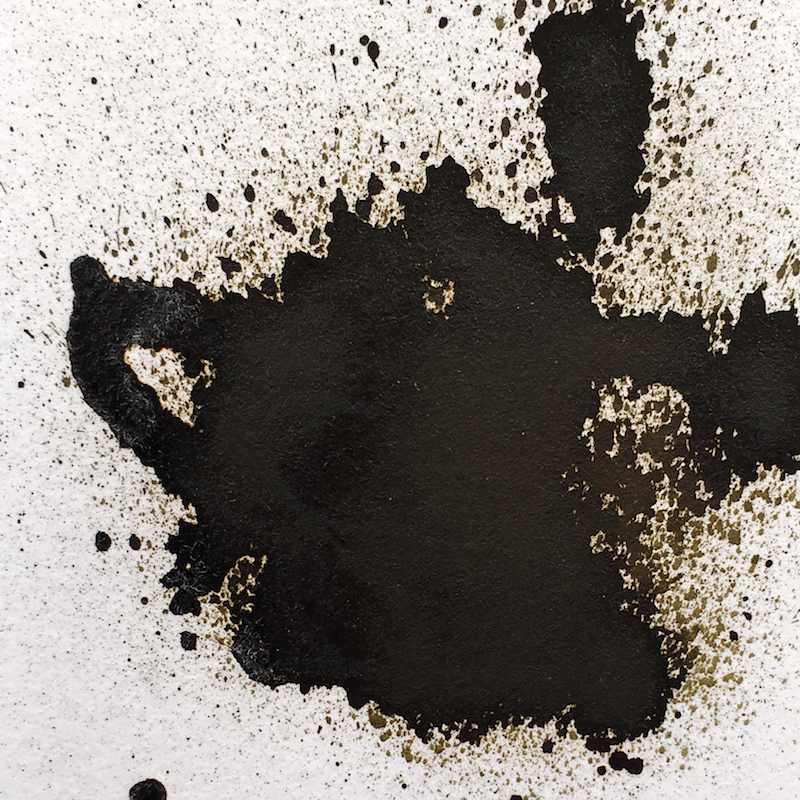 I find that it seems to be browner, more earthy on more absorbent paper, and veers to a greener tint on less absorbent paper. 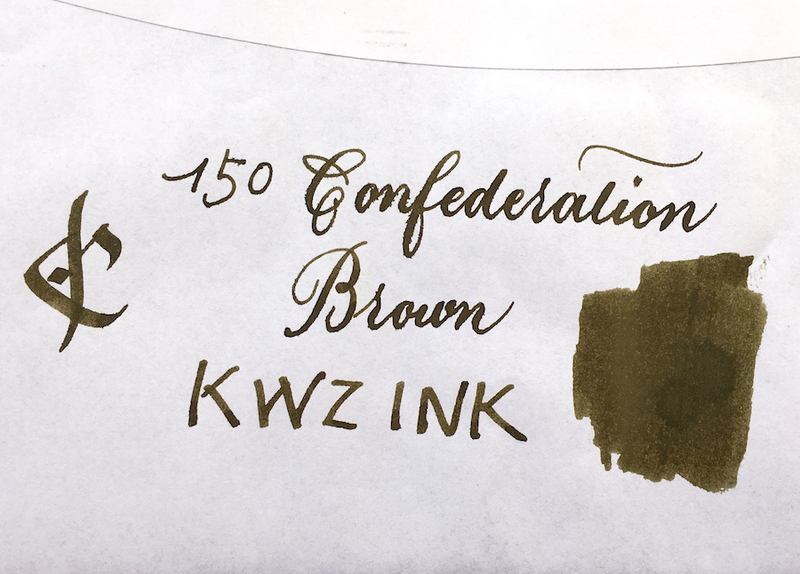 A great colour with character: just look at the writing samples. The behaviour, as expected from KWZI, is great: wet flow, smooth and lubricated feel. Not water resistant. 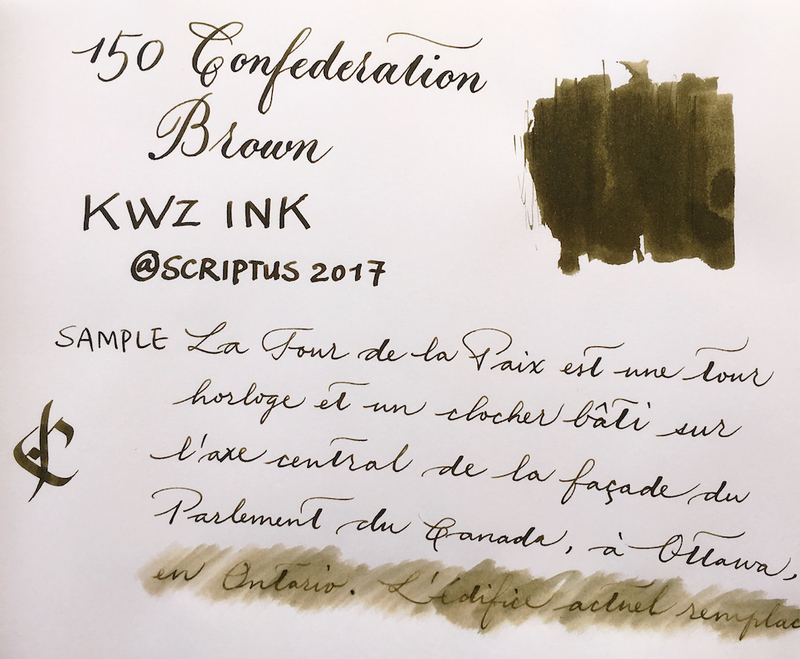 If you're lucky enough to be in Canada, don't miss out the chance to get this amazing ink at Scriptus 2017. If you're not in Canada, you need to invest in some Canadian friends! * downloads bleach image for use in "folder of lovely art" screensaver. Good review, thanks. It'll be great keepsake from Scriptus. Love your review! And the ink is truly gorgeous. Gorgeous! 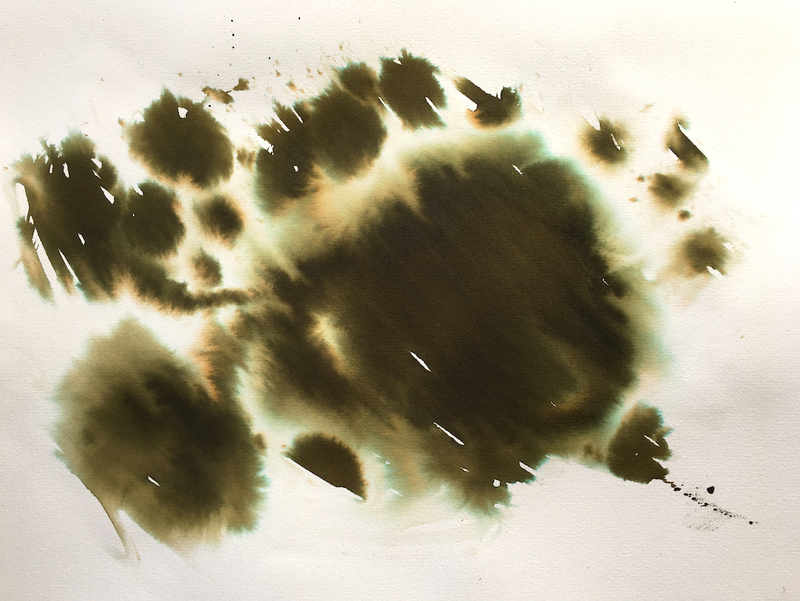 Reminds me of the complicated Kobe and Sailor LE inks. 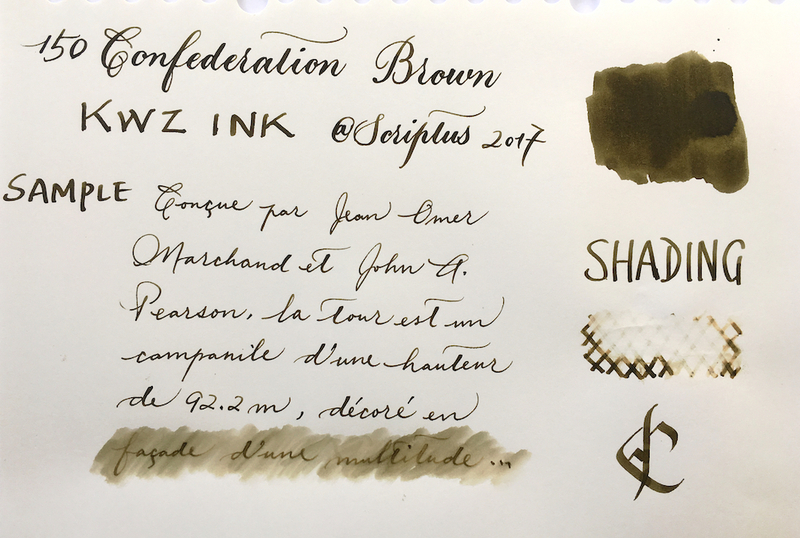 Fantastic review and a very special ink, thanks for share it. "The best proof that there’s intelligent life in outer space is the fact that it hasn’t come here"
Great review! Wow, it is an interesting color. . . just not for me. AWESOME review LG... THANKS SO MUCH!!!!!!!!!!! Such a lovely complex ink!!! 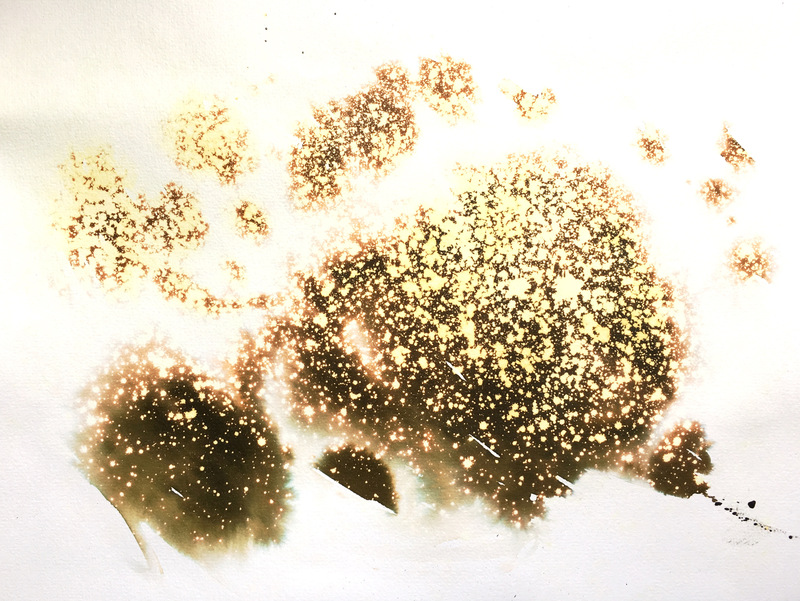 I love how it changes colour depending on what paper you use - super cool. Thanks for the review! Awesome review! 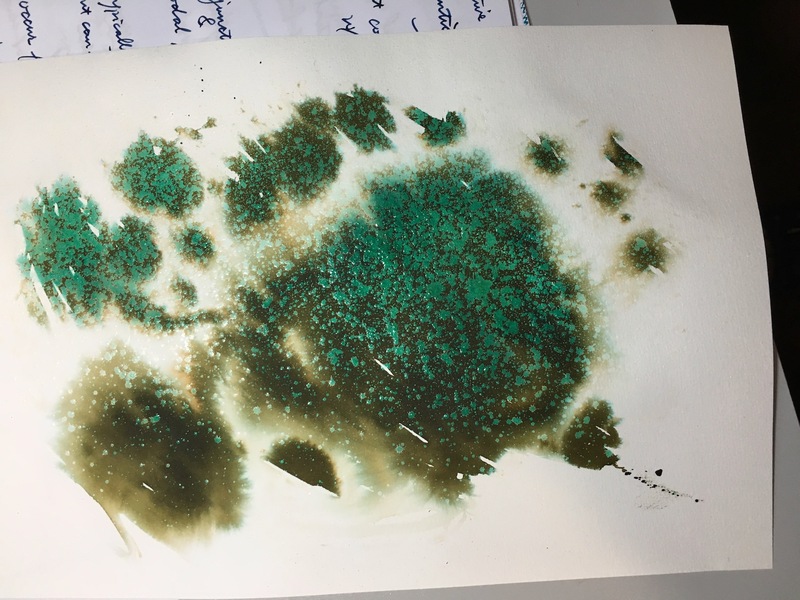 Very thoughtful to do water resistance tests on different paper. Bleach pictures are very cool. Is this an iron gall? 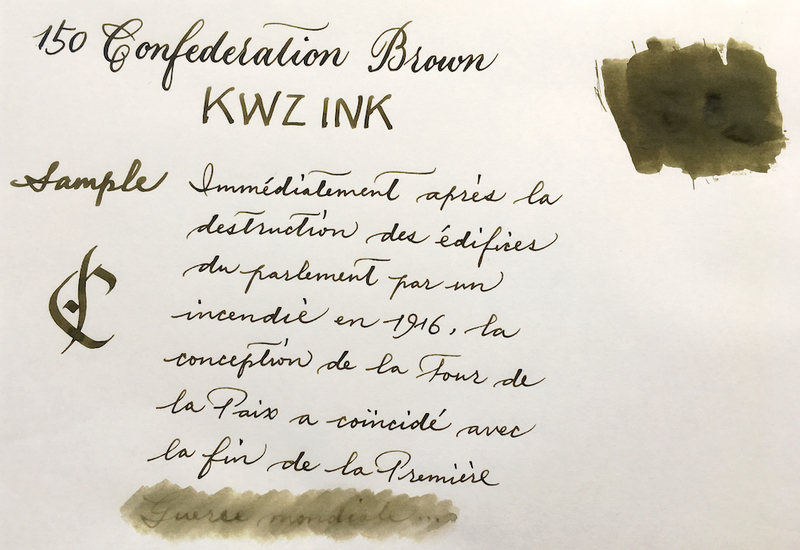 I'm saving up to buy my first KWZ IG inks. I've been going nuts lately for the two I have, platinum citrus black and R&K scabiosa. No is not an Iron Gall. 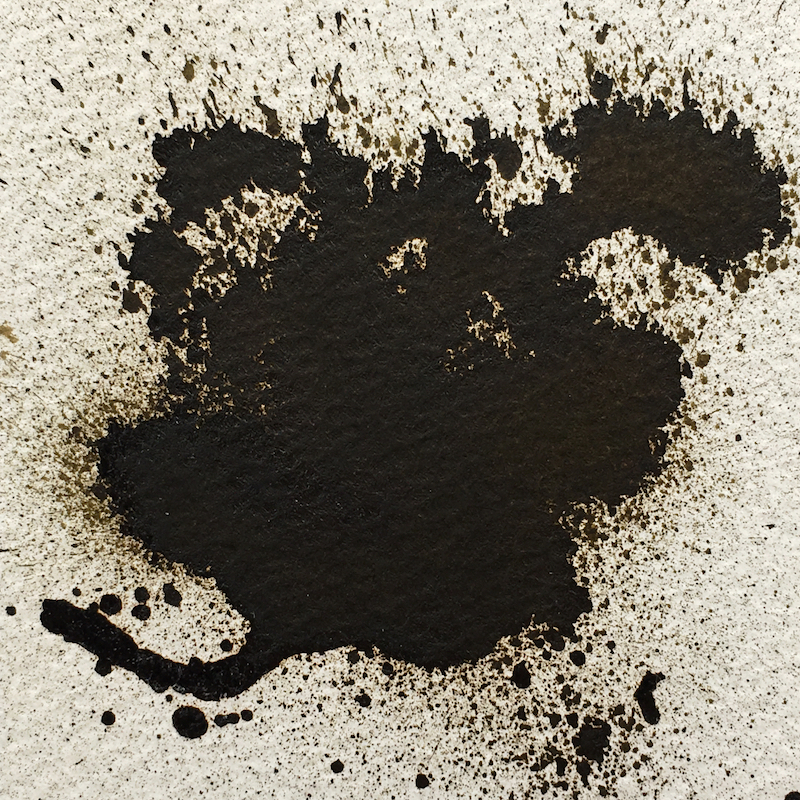 Most ink colours are dependent on ink flow and paper quality. 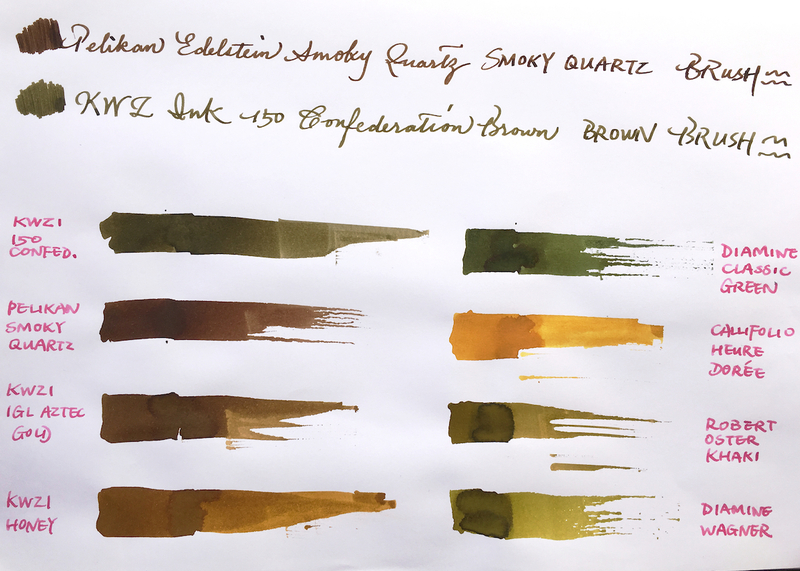 The differences can be so subtle that we might not notice, OR... the difference are so drastic that it might look like a totally different ink. 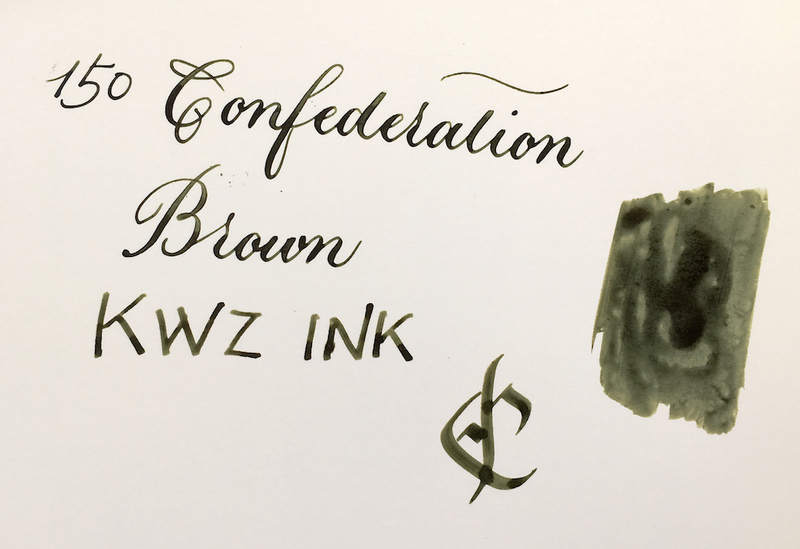 This one, through the magic of KWZ is a "changeling" It changes so much from paper to paper, add to that, the ink flow and the width of the nib and you can have like 5-6 different looking inks.